– At the beginning of 1921, by means of the spiritism, the Supreme God revealed Himself through the mystical name “Cao Đài Tiên Ông Đại Bồ Tát Ma Ha Tát”, nd officially accepted Ngô Văn Chiêu as the first disciple. – On December 16th, 1925 (i.e., the first day of the eleventh month of the lunar year Ất Sửu), Cao Quỳnh Cư, Phạm Công Tắc, and Cao Hoài Sang set up an altar to worship the Supreme God. Then, on December 19th, 1925, He congratulated them, “How lucky you are when following Caodaism.” [should check with the Vietnamese text]. “I am the Jade Emperor - Supreme God - Caodai Immortal - Great Bodhisattva - Mahatattva, teaching the Way in the Southern Quarter”. “I am the eternal authority. You get My favor by practicing the Way. When the miraculous Way iss pread throughout the world. Thus, Caodaism was founded by the Jade Emperor - Supreme God or Cao Dai Immortal - Great Bodhisattva - Mahatattva. 2. Who is the first disciple of His Excellency Caodai? – Early in the year 1920, in a spiritual séance held at Mr. Ngô Minh Chiêu’s private residence in Tân An ( currently, Long An province), a Divine Being descended and identified Himself as “Cao Dai Immortal” (Cao Đài Tiên Ông). The name had never been heard before. – Then, His Excellency Cao Dai officially adopted His Holiness Ngô Văn Chiêu as His first disciple in Phú Quốc in early 1921. 3. Is Caodaism an official and authentic religion? – Caodaism is official due to the following facts. First, the declaration of the founding of Caodaism was submitted to the French colonial administration on September 29th, 1926 ( the 23th day of the eighth month of the lunar year Bính Dần). Second, the inauguration ceremony was officially held at Từ Lâm Pagoda, Gò Kén (Tây Ninh Province) on November 19th, 1926 ( the 15th day of the tenth month of the lunar year Bính Dần) and witnessed by the local government and the public. In this inauguration ceremony, the Supreme Being ordained the dignitaries, and established the religious Constitution of Caodaism. – Caodaism is authentic because of its Faith, and its worship of God and Divine Beings. It also has a well-defined Sacerdotal organization, a religious Constitution and Canonical Codes, and a wide-spread religious communities across the world. But most importantly, Caodaism consists of both esoteric and exoteric doctrines. 4. What is the meaning ofthe term “Đại Đạo Tam Kỳ Phổ Độ “? Đại Đạo (the Great Way) refers to the universal principle of the Universe which is the common path everyone must follow as to renovate the world and attain spiritual deliverance. Tam Kỳ Phổ Độ (the Third Universal Amnesty) refers to the salvation of the mankind for the third time, which is our present time. Mentioning the third time denotes that there had to be the first and second times. In the first revelation, God sent His messengers such as Phục Hi, Moses, etc.. The second revelation, which was a few thousand years later , consisted of Shakyamuni, Laozi, Confucius, Jesus Christ, and Mohammed. In the third revelation, Cao Dai the Supreme God revealed Himself directly to humanity, in order to “lead the Three Ancient Religions back to their one same primordial origin, and unite all religions as they are of the same truth, also to teach human beings how to live in harmony and how to attain perfect enlightenment so as to reunite with God the Father. This Third Universal Amnesty is the final Salvation in a great cycle of the universe. It brings universal deliverance to all mankind so that awakened people are able to renovate the world into the Era of Creation under the Third great amnesty. The Great Way for The Third Universal Amnesty (Đại Đạo Tam Kỳ Phổ Độ) is the official name of Caodaism (Đạo Cao Đài) . 5. What does Cao Đài mean? – Cao Đài literally means a high tower or palace, which refers to the highest place in the universe, where God reigns. – Cao Đài is the pseudo-name that God revealed Himself in the third amnesty. It implies that He Himself has come to lead mankind back to their same one and highest origin, which is God’s light. “The Jade Emperor - Supreme God or Cao Dai Immortal - Great Bodhisattva - Mahatattva, teaching the Way in the South.” (Divine Message at Christmas 1925). The Divine Message in French language on October 28th, 1926 also stated: “Dieu Tout Puissant qui vient sous le nom de Cao Đài” (the Omnipotent God who comes under the name of Cao Đài). With this self-introduction, His Excellence Cao Dai revealed Himself the Jade Supreme God. According to Caodaist doctrine, the mystical name Cao Đài Tiên Ông Đại BồTát Ma Ha Tát also conveys the principle of “The Three Religions return to their primordial Unity ” in the Third Universal Amnesty. Đại Bồ Tát Ma Ha Tát (Great bodhisattva Mahatattva). –	Cao Đài is also the highest place in a human body. It is called Nê Huờn Cung (Nirvana palace), situated between the brain and the skull, through it one can communicate with God as well as with the Caodai of the universe. 6. What is the purpose of Caodaism? On the individual aspects, Caodaism aims at saving the worldly humans and guiding them away from the cycle of karma and reincarnation. 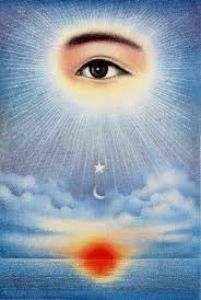 On the collective aspects, Caodaism strives to renovate the human society into a world of justice and of great harmony. More precisely, the aims of Caodaism is summarized in the Divine motto: “Great Harmony in the Temporal Way, and Complete Deliverance in the Spiritual Way”. 7. What is the meaning of the “Great Harmony in the Temporal Way”? It refers to a human society in which everyone strives to maintain harmony and justice throughout the world. The Temporal Way offers spiritual solutions for significant world problems such as racism, intolerance, and ignorance. The “Great Harmony in the Temporal Way” serves the world with a sense of international fraternity, without discrimination of social classes, organizations, religions, or races . Based on humanism, the “Great Harmony in the Temporal Way” upholds human dignity and rights, and improves human nature to establish a peaceful, moral, and civilized world which Caodaists often refer as a blissful and saintly world. In a broader sense, the “Great Harmony in the Temporal Way” supports a universal love toward all beings, from the infinitely small to the infinitely large ones, including human beings and other species. 8. What is the meaning of the “Complete Deliverance in the Spiritual Way” ? The Spiritual Way offers a stepwise path leading to the human spiritual completeness, to reach the ecstasies of happiness. Practitioners are able to free themselves from the physical and mental sufferings in the secular world. Eventually, they can attain the spiritual deliverance (nirvana) by breaking up the incarnation wheels and reaching the eternal life in Paradise. .
For this ultimate purpose, one who steps in the Spiritual Way must study the Great Cycle of Esoteric Doctrine (Mahayana). He/she must concentrate in cultivating his/her own salvation by way of meditation and self-purification, before being able to help others in their self-deliverance. 9. What is the principle of Caodaism? The principle of Caodaism is to “return the Three Religions (i.e., Buddhism, Confucianism, and Taoism) to their primordial origin, and unite the Five religious Branches under the One”. Caodaism or the so-called “the Great Way doctrine” is a syncretism of the Three Ancient Religions. Confucianism teaches humans the duties and virtues necessary to maintain a strong social bond. . Taoism helps people cultivate their bodies and minds, and live in harmony with the nature. . Buddhism offers the way to break up the cycles of sufferings in order to attain awakening (or enlightenment) and deliverance. Thus, the consequences of “the Three Ancient Religions return to their primordial origin” are the “Great Harmony in the Temporal Way, and Complete Deliverance in the Spiritaul Way”. “The Five Religious Branches unite under the One” illustrates an ordering pattern leading to the “God-man union”. It encompasses the the 5-level cultivation practice: Humans, Genies, Saints, Immortals, and Buddhas. Thus, the returning to One or the Unity of the Five Religious Branches forms a systematical and integral cultivation method that everyone should follow to achieve the ultimate goal of the human existence. In other words, the principle of Caodaism is a syncretic way to achieve the ultimate goal of all religions, which is the perfection and salvation of humankind. 10. What is the meaning of “All religions are of the same truth”? In addition to “the Three Religions return to their primordial origin and the Five Religious Branches unite under the One”, Caodaism also upholds the motto “All religions are of the same unique truth”. With this motto, Caodaism recognizes the ultimate goal of all religions is to guide human beings to self-cultivate so that their spirits become perfect and compatible to God’s Divine Light. To state it differently, esoteric practice of all religions would lead human beings to the same ultimate goal, which is self-realization. Thus, Caodaism supports the faith of all religions and promotes the one same principle, which is the Great Way. 11. What is the foundation of Caodaism? 1. Heaven, Earth, and all beings are of the same constitution. 2. The Spiritual Unity engenders the Corporal variety; the Corporal variety returns to the Spiritual Unity. Owning the same origin and the same nature, human beings should not discriminate against each other. Instead, they should practice a Universal Fraternity among themselves in order to achieve the great harmony in this world. The second principle illustrates the dynamic evolution of the Universe. Starting from God, i.e., the Great Divine Light, myriads of tiny Sparks of Light emanate to become all the beings in the material world. They gradually climb up the evolution ladder from minerals, to plants, animals, and humans. As humans are on the uppermost step of mortals, they evolve to genies, saints, immortals, buddhas, and eventually reunite with God. Thus, the ultimate goal of human beings is to evolve toward the reunion with God, which is the origin of human beings as well as the universe. To achieve it, human beings must practice self-cultivation and self-purification to improve their virtues and accumulate the threefold work merits to attain absolute perfection, the so-called “returning to the origin” in Caodai doctrine. 12. What does the term ‘God’ in Caodaism refer to? Caodaists absolutely believe that God is the Governor of the universe and also the Father of all beings. He is the Ultimate One in the impersonalized concept of God, as well as the Jade Emperor Supreme God in the personalized one. God manifested differently at different epochs and is called by myriad names. In the previous Revelations, He sent His Messengers as religious founders to cultivate human beings. In this Third Universal Amnesty, He Himself came to this world and founded Caodaism to save mankind and transform the human world into a saintly realm. In Caodaists’ mind, God is not only the Religious Founder but also the Father and the Master of all beings. He allowed all Divine Beings to come with Him into this world to establish the universal amnesty during this destruction period. 13. What is the meaning of the impersonalized God and personalized God? Caodai doctrine blends these two concepts together. In the impersonalized concept , God is the dynamic cause of the universe and also is the principle of forming, transforming, and controlling it. Esoterically, impersonalized God refers to the principle of creation, transformation, and maintenance of the universe under the law of Yin and Yang movement. In the personalized concept , God is the Supreme Master with absolute power to dominate all beings and manage the universe. The personalized concept leads to the worshipping tendency, while the impersonalized one results in the philosophical tendency. 14. What is Caodaist cosmological viewpoint? 15. What are the Great Divine Light and the Sparks of Light? They are typical concepts of Caodaism. As mentioned above (in answers 46 and 49), all beings emanated from the Supreme Being, which is the Great Divine Light and also is the nature and the origin of all beings. Spiritually, the Great Divine Light is the Great Primordial Soul of the whole universe. Each living being in the universe owns a Divine Spark from the Great Divine Light and so, the tiny Spark of Light is also the primordial soul extracted from the Great Divine Light. Self-cultivation helps unveil the darkness of ignorance and expose that primordial soul so that it can reunite with the Great Divine Light. According to Caodaism, a creature must have the three souls (living, emotional, and spiritual) in order to succeed in the self-cultivation and self-delivrance. Hence, once again, humans are the first step on the evolution ladder to be able to reunite with the Supreme Being. 16. What is the Caodai New Method? The Cao Dai New Method refers to the Caodaist spiritual practice taught by God since 1926. It is simpler than those precedingly taught in other religions. In fact, it synthesizes the basic cultivation methods of the Three Ancient Religions, guiding the practitioners step-by-step toward enlightenment and deliverance. Since it is updated and modified to conform with the circumstances of this current Era of destruction, , the Caodai New Method would be the most appropriate method of self-perfection for mankind in the Third Universal Amnesty.Practically, the New Method has its foundation on the Threefold Work (Tam Công). 17. What is the meaning of “Attaining the Divine Trinity One and Indivisible ” (Dac Nhut)? “The Divine Trinity One and Indivisble” refers to the Oneness or the Divine Spirit of all beings. Attaining the Oneness means achieving the state of uniting and harmonizing with all beings in the universe. For the goal of returning to the origin, attaining the Oneness is to reunite with God or the Great Divine Light. For the goal of enlightenment-deliverance, attaining the Oneness is to reach a state of non-separativeness in which the accomplisher sees himself as part of all other beings, and vice versa, all beings in the boundless universe is contained within himself. Practically, attaining the Oneness is the results of concentrating and persevering oneself in a single focus, such as serving patiently and persistently the faith. Religiously, attaining the Oneness within oneself is also achieving the Oneness of all beings in the universe, and thus it means respecting other religions without any discrimination or arrogance on the basis of “all religions are of the same truth”. With all these meanings, attaining the Oneness means accomplishing the mission of the Great Way. 18. What is the meaning of “Returning to the Origin”? According to Caodaism, Sparks of Light emanated from the Great Divine Light (God) and transformed into all beings in the corporal world (Check for more details in answers 49 and 50). These creatures t experienced myriad times of reincarnation to climb the evolution ladder, before becoming human beings, which is the first step of evolving toward Divine Beings. (Check for more details in answer 50). At the final stage of their evolution, humans must return to God, i.e., the Great Divine Light and also the origin of the universe. This process is called “Returning to the Origin”. In order to accomplish this goal, human beings must self-cultivate so that their hidden Sparks of Divine Light are exposed and perfectly brightened, comparable and compatible to the Great Divine Light. Thus, “returning to the Origin” means reaching the final point of the evolution by breaking up the Karma and incarnation cycles to unite with God. 19. What are the Pre-Monad (Tien Thien) and Post-Monad (Hau Thien) ? They literally mean before and after the creation of the universe or corporal world. In Caodaist cosmology, the Pre-Monad refers to the Infinity (the Void) and the Great Supreme (the Monad), that is the primordial or spiritual nature of the universe. The post-Monad refers to the temporal nature of all beings in the universe, resulting from the Yin-Yang interaction. In the Pre-Monad, there is no concept of birth anddeath; while in the Post-Monad birth and death co-exist and complement each other in the temporal world. Self-purification is the process of energizing human body and mind by absorbing the Pre-Monad nature which is crucial for human spiritual transformation. In other words, it is the self- conversion from humanity to divinity. 20. What is Caodaist concept of soul? Caodaism affirms that plants havea soul called “sanh hồn” (living soul); animals have both “sanh hồn ” (living soul) and “giác hồn” (emotional soul); while human beings have all threesouls, i.e., “sanh hồn” (living soul), “giác hồn” (emotional soul), and “linh hồn” (spiritual soul). (For more details, check answer 50). Human soul belongs to the spiritual realm and is incorporated into a physical body to form a living entity. When a person dies, his physical body decays and disintegrates but his soul does not. It follows the wheel of karma and incarnation to be reborn to another life with a new physical body. The evolutional level of a person is a good indicator of the evolution of his soul. 21. What is the Temporal Way (The Dao)? The Temporal Way refers to the practical aspects of the Great Way in guiding humans to live a moral life, to fulfill their duties toward themselves, their families, and the society. Caodaists must cultivate the following essential virtues: benevolence (Nhân), righteousness and honesty (Nghĩa), respect and courtesy (Lễ), moral knowledge (Trí), faithfulness (Tín), loyalty (Trung), and filial piety (Hiếu). Once the Human Way is accomplished , the adherents can step onto the Spiritual Way, preparing to detach from the secular life and cultivating to attain awakening (or spiritual deliverance). 22. What is the Spiritual Way (Thien Dao)? The Spiritual Way refers to the practical aspects of the Great Way in preparing the practitioners for attaining the spiritual deliverance for freeing from the wheel of karma and incarnation. Adherents are qualified to enter the Spiritual Way if they observe integral or partial vegetarianism (at leat ten days a month), refrain from sexual activities, and receive meditative training. In addition they must digilently practice the threefold work method. Stepping in the Spiritual Way, the adherents take the solemn vows of a Bodhisattva to self-salvate and help others salvate themselves. They must maintain a tranquil mind, practice love, tolerance, and benevolence. Also they must cease all desires and ambition. Indeed, the Caodaist dignitaries participate in the mission of the Great Vehicle, as they have to bind with the above-mentioned critieria for the Spiritual Way. 23.What does the Third Revelation mean? There are three episodes of Revelation in each great cycle of the Universe. According to Caodai Doctrine, God sent Divine Beings as His Messengers to found religions to save mankind in the first two parts of the Great Cycle. In the First Revelation: Phục Hy (2852–2737 BCE) and King Dawu (2205–2197 BCE) in China invented Ha Do, Lac Tho , and Bat Quai (the Eight Trigrams), based on which King Wen (born in 1258 B.C.) and Duke Zhou (?-1105 B.C.) developed Dich Kinh (The Book of Changes) as well as the Temporal Way and the Spiritual Way. They reformed human lifestyles, minds, and virtues. Also in Palestine (Syria), about 1300 B.C., Moses communicated with God on Mount Sinai, and received the Ten Commandments to lead the Jews in exodus. In the Second Revelation: During the twelve centuries, six B.C. and six A.D., many religions were founded.Buddhism was established by Shakyamuni, born in India in 560 B.C. Confucianism was founded by Confucius, born in China in 551 B.C. Taoism was founded by Laozi, who was contemporary with Confucius; he wrote Tao Te Ching (the Book about the Way and Its Power). Christianity was established by Jesus Christ, born at Bethlehem village in Judah of Jerusalem about 5 B.C. ; he was the incarnation of the Son of God, coming to this world for mankind redemption. Islam was founded by Mohammed, born in Mecca in 571 A.D. ; he preached the Koran. For the Third Revelation: God Himself founded theGreat Way for the Third Universal Amnesty, or Caodaism, in South Vietnam in 1926. Spiritism (or Spiritualism) is the means He chose to communicate directly with mankind and preach this new religion. 24. What is the Third Universal Amnesty? Hence, the methods God employs in the Third Amnesty are more efficient than those in the precedent Revelations. The Esoteric doctrine is also simplified and updated to facilitate the study and practice in this era. Especially, a fervently pious adherent, who has not yet attained awakening when alive, still benefits from the Amnesty after his/her death so that he/she can self-cultivate while in the invisible realm. Such favors are really a rare and special privilege for mankind, which only exists in the Third Universal Amnesty.